A male's perspective in a female-dominated PRoffesion. With only one full semester left, I can say that I have had my fair share of interesting classes at LSU. But, to date, I would have to say that one of my favorite courses was media ethics. The class delved into a realm of the media proffesion that had never been explicitly mentioned in my other courses – ethical dilemmas. We spent weeks discussing the ethical dilemmas that journalists, PR specialists and photographers face every day. Is it ethical to take a picture at a soldier’s funeral? What is the line between being objective and passive in violent situations? Should the public be informed on every issue? We’d debate questions like these for days. We also learned about the importance of aligning yourself with companies or industries that have similar values and ethical standards as you. There will be times in your career when your personal values and ethics will be tested. If there is a stark difference between what you believe and how your company expects you to act, there will be major problems. I am glad that I have entered a profession where strong ethical standards are enforced. In all my classes, it has been reiterated that PR professionals have a responsibility to the people first. We are not spin doctors with the sole purpose of furthering a company or brand’s agenda. We are here to facilitate mutually beneficially relationships with our clients and be the “middle men” between them and the public. The PR profession also values professionalism. Since my freshman year, I have been molded into becoming a person ready to enter the professional work force. I’ve been taught how to brand myself to the public via social media and how to interact with future employers. I’ve been shown how to speak and dress appropriately for different audiences. In my current class, I even have an entire grade dedicated to the professionalism I’ve displayed while working with my PR agency, Bengal Communications. Being taught these ethical standards and professional values has translated into me being a better PR professional. While partnering with BRAC for our current campaign, I have found this knowledge to be useful. I know that I am partnerning with a non-profit that shares the same values and goals as I. We both want to see Baton Rouge and its surrounding areas prosper, but we don’t plan to reach our goals through unethical means. The members of Bengal Communications have handled themselves in a professional manner throughout the planing of this campaign and I don’t expect there to be any change. Follow me @DavidSahr or join me on LinkedIn. First of all, let me just say that your ethics professor is without a doubt Jonny Knoxville’s doppleganger. I also think he looks a little bit like Josh Dumal, but that’s just me. I have not taken ethics yet but I would definitely be interested in taking his class. Anyway, I agree with your take on ethics and practicing journalism and PR. I have not had too much experience with it so far, but I can imagine that it would be difficult to carry out public relations if my company or organization had conflicting values and ethics. It is important to have similar views and morals as the company you work for so you can be an advocate for your organization and work to the best of your ability. I also can relate to the responsibilities of a PR professional being drilled into our brains in all of our classes so far. It is important for us to serve the people first and carry out the responsibilities of a PR practitioner above all. As PR students we are taught from the beginning appropriate professional skills needed for after graduation. That is something I feel lucky to be able to learn. I could be wrong, but I do not think other majors (except business) teach students as much about the importance of getting real world experience and how to get a job in the corporate world as much as the Manship school has. I look forward to seeing what Bengal Communications does with BRAC. I really enjoyed this post about ethics and professionalism. I cannot agree more that I am happy to have entered a field where ethics and professionalism are so highly regarded. Every mass communication class I have taken has had an emphasis on the importance of ethics in the public relations field. Also, the ethics course that was required by the Manship School was informative and extremely interesting. Although my professor looked nothing like Johnny Knoxville, he also taught us to align ourselves with companies that have similar ethical standards as we do. I believe that our work this semester with the Baton Rouge Area Chamber was a great start to finding alignments with great companies. I have learned a great deal about professionalism by working with Julie Laperouse. She is a great role model and has given us lots of tips on how to be professional, land a great job and do well at that job. As strategic director of Découvrir Public Relations, I have learned the importance of implementing my ethical standards into every work I create. Every member of Découvrir has learned to act in a professional manner through working with Julie. I believe this will prove beneficial to the amount of success our trek will generate. Follow me on Twitter: catherinehartxx to learn more about Découvrir and our work with BRAC. I like that you touched on what the media ethics class at LSU is like. I am taking it in the fall and I cannot wait to learn about all the different types of dilemmas people have to handle in public relations. The public relations field will definitely test our morals and values but we will not always be able to have the luxury of working for companies that have values that align with ours. In one of the classes I took through the Manship school at LSU we were prompted with the question of whether or not we would work for a company that sells cigarettes. Some people said absolutely not because they did not agree with smoking while others said they could separate their personal beliefs from their business mindset. I believe that it is professional to compartmentalize our personal beliefs and values because we are simply representing the company, not ourselves in public relations. 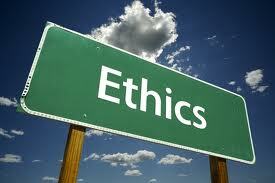 We must abide by the PRSA Code of Ethics but we can do that without jeopardizing our personal beliefs. I look forward to seeing where you go in public relations and how you will professionally represent a company someday. If you would like to keep up with my career, follow me on my LinkedIn: http://www.linkedin.com/profile/view?id=212383913&trk=tab_pro. This entry was posted on April 17, 2013 by David Jones and tagged BRAC, ethical dilemmas, ethics, media ethics, PR, Public relations.